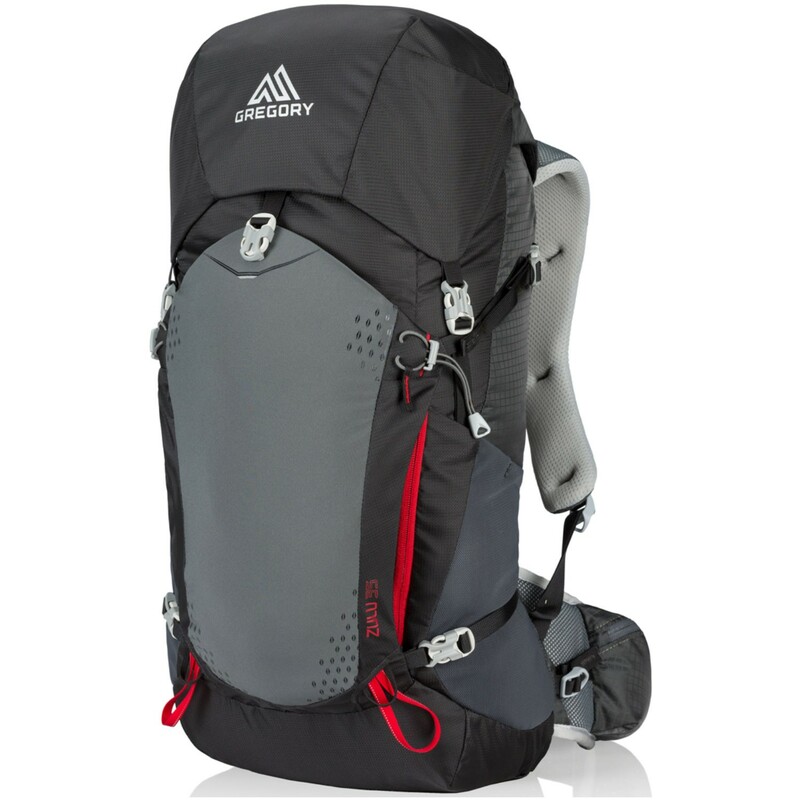 The streamlined, lightweight Zulu 35 uses Gregory's low-profile CrossFlo ventilated suspension, ultra-cushy shoulder harness design, and a new lumbar platform for a superbly comfortable carry. Low-profile cargo compartments bring the load closer to your body to improve balance, while a front stretch pocket makes it easy to grab and stash gear on the go. Tough, lightweight fabrics and reinforcements increase durability, and an upside-down U-zipper main access panel eases packing and unloading. Measure from the top of the hip to the base of the neck. Inbetween sizes? Always better to size down to ensure harness load lifters can lift the pack weight onto the hip-belt and function properly. However the general rule is for slimmer upper body builds, always size down - for broader upper body builds, size up to ensure harness padding coverage.